Guaido vs Maduro: Where do countries stand on the Venezuela crisis? Home Global Pulse Guaido vs Maduro: Where do countries stand on the Venezuela crisis? In El Salvador, anti-corruption crusader wins presidential election, vows not to ‘steal’. Venezuela, an oil-rich country in Latin America, has landed in deeper political, economic and social turmoil ever since the head of the national assembly, Juan Guaido, swore himself in as the President of the country on 23 January. This, even as the incumbent Nicolas Maduro assumed his second term in office last month. Countries across the world have already picked sides. The US was among the first group of countries to formally recognise Guaido as the legitimate leader and President of Venezuela. US President Donald Trump even imposed sanctions against Petróleos de Venezuela (PDVSA), the state-owned oil company, to choke the Maduro government’s main source of revenue. Trump has not ruled out military action against Venezuela, but Maduro has retaliated, warning that Trump could run the risk of staining “his hands with blood” if he pursued action. Russia is a vehement supporter of the Maduro establishment. It is a crucial business partner for the Latin American country and has lent billions of dollars to Venezuela to keep its economy going, so much so that the country owes Russia $3.5 billion of debt payments. Russia has also gone to the extent of warning the US that it shouldn’t interfere in the internal matters of Venezuela, claiming that this would be a “gross violation of the fundamental norms of international law”. China also supports Maduro. It is one of the biggest investors in Venezuela and is also its second largest importer of crude. Since 2007, it is reported to have invested a staggering $62 billion in the country. From 2016-2018, however, China has just invested $1.84 billion in Venezuela as reports suggest there is increasing evidence to show that the country has turned more incapable of repaying payments. A CNN report says “China’s repayment hopes could be thrown into further uncertainty if Maduro leaves office”. A Bloomberg report also says that with Venezuela, China has “been more equivocal, mostly falling back on citing a longstanding policy of non-interference in other states’ affairs”. The ultimatum that seven European countries gave Maduro to hold snap elections has expired. 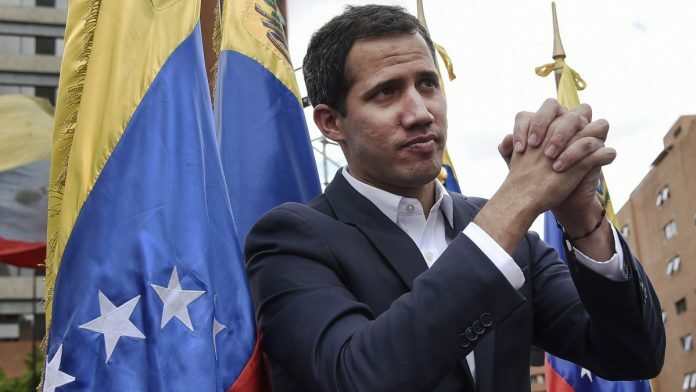 The deadline put forth by the United Kingdom (UK), France, Germany, Netherlands, Belgium, Spain and Portugal was to warn Maduro that if he did not call an early vote, they would recognise Guaido as the legitimate leader of the country. British Foreign Secretary Jeremy Hunt tweeted Monday, declaring that the UK along with its EU allies now recognises the 35-year-old Guaido as the “interim constitutional president until credible elections can be held”. Spanish Prime Minister Pedro Sanchez also said his country now recognises Guaido as the “president in charge of Venezuela”, but with the expectation that the oil-rich country will organise “free, democratic, presidential elections”. Sanchez has also announced that the government of Spain will “promote” the International Contact Group to accompany Venezuela in the call for “free and democratic elections”. The International Contact Group is an official meeting to be held at the ministerial level on 7 February in Uruguay’s capital Montevideo among eight European countries (France, Germany, Italy, the Netherlands, Portugal, Spain, Sweden and the UK) along with Latin American countries including Bolivia, Costa Rica, Ecuador and Uruguay. The group has given itself a 90-day mandate to find a solution to the Venezuela crisis by means of creating “conditions” that would enable Venezuelans to decide for their own future by the option of going for credible elections. French President Emmanuel Macron has said that the people of Venezuela have the right to “express themselves freely and democratically” and also announced his support for the EU contact group. Canada’s Prime Minister Justin Trudeau, in a phone call with Guaido Sunday, made it clear that his government believes Maduro’s government is illegitimate and that “free and fair” elections need to be called. Members of the Lima Group, a regional bloc comprising 14 countries of North and South America, and the Canadian government are discussing the political atmosphere and the economic assistance in Venezuela and keep international partners like the US and the EU in the loop. Bolivia stands with Maduro as its president Evo Morales is one of his supporters. Cuba, Nicaragua and Uruguay too support Maduro as their Left-leaning political stance aligns with Maduro’s socialist regime. The Right-leaning governments in Brazil and Colombia, however, support Guaido. Mexico has adopted a non-interventionist stance by not directly recognising Guaido but has, along with Uruguay, called for dialogue and also expressed its concerns about the state of human rights in the conflict-ridden country. Turkey, Syria and Iran in the Middle East also support the Maduro regime. South Africa is also a supporter of the incumbent president. Nayib Bukele, the 37-year-old from the Centre-Right Grand Alliance for National Unity (GANA), recorded a sweeping victory in the El Salvador elections Sunday evening. In a country beset by rampant corruption — three of its last four presidents have been charged with embezzlement — a simple promise of ‘not stealing’ has won Bukele the race. Bukele, who seems social media savvy, posted a picture with his wife Gabriela and his supporters while declaring his victory online. In a country of just 6.4 million people, Bukele has over 1.4 million followers on Facebook and 500,000 on Twitter. Bukele maybe a young face in El Salvador’s politics but has previously served as the mayor of San Salvador. Bukele capitalised on the anti-establishment sentiment and won with 53.7 per cent votes in his favour. El Salvador is one of the most violent countries in the world, with more than 3,300 killings last year. It has been facing a huge population migration due to the gang violence in the country. Bukele has proposed creating an international anti-corruption commission with the support of the United Nations, following similar committees in Guatemala and Honduras. Along with a sluggish economy, the pew President will also have to take reins of a country with a dire security system and increasing threats of sanctions from the US. The anti-establishment candidate has broken a three-decade-long trend of a two-party system of administration. He has also spoken openly against the problems of corruption and violent gang wars in the country. America’s Quarterly feature: Will El Salvador’s Nayib Bukele Be the Next Social Media President?